Have you always wondered what your makeup could look like if you had it done professionally? Well…here’s your chance…and you can get it done for FREE! 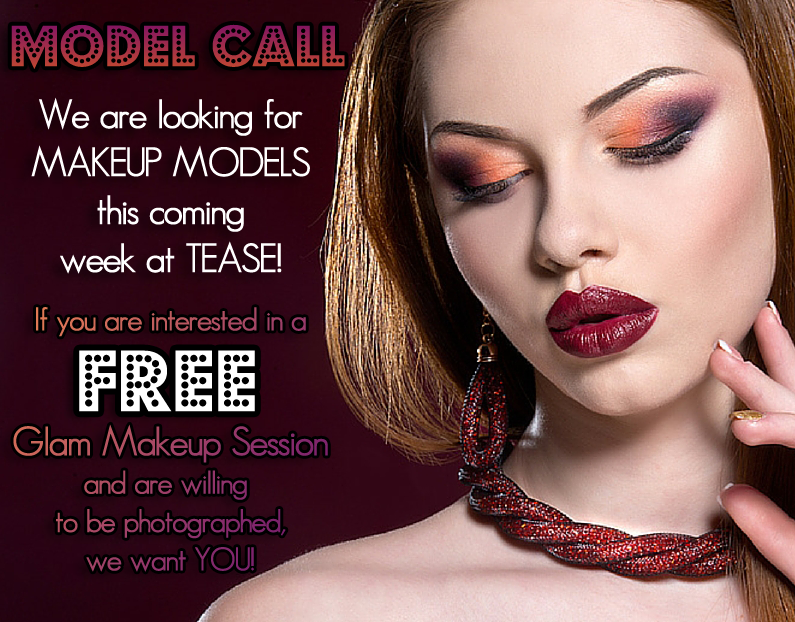 If you are interested in coming in to the salon THIS COMING week and being one of our makeup models, we want to hear from you! We will be doing glam looks of OUR CHOICE. The only catch is you MUST be willing to let us photograph you afterwards for our portfolio. Who’s in??? Contact the salon at 216-236-6940.